Have you lost someone to cancer and wished you’d known the truth about conventional treatment? Do you have trouble discussing the truth about the health industry with those around you? Have you wished for a place where, instead of meeting with potential hostility, you could talk openly with like-minded individuals? What if there was a group that was supportive, full of hope, and packed with mind-blowing information you can’t get anywhere else? We’re so excited to announce the launch of our brand new TTAC Insiders Membership, the best way to stay connected and current on the most effective, natural ways to be healthy and disease-free. 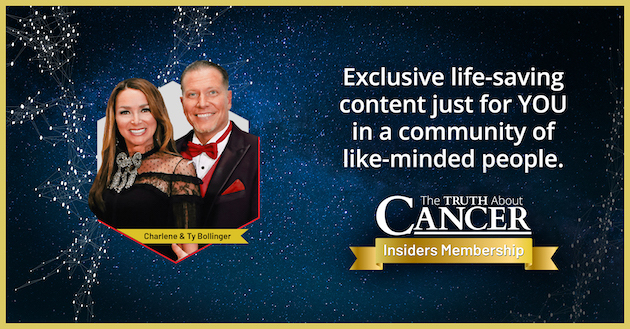 Members will have exclusive access to the latest research and news, private webinars and Facebook live sessions, intimate interviews with Ty & Charlene, our experts… and more. Plus, you’ll be invited to join an online community where you can share news, ideas, and encouragement. Our journey began back in 1995. Ty said that he loved me on our first date and three days later, I told him that I loved him too. 9 days later, he asked me to marry him, and I said yes. We had never been so sure of anything before, and could hardly wait to get married. Exactly 6 months later, we were happily married before all of our family and friends. But soon our world began crashing down around us. It started at the time of Dad’s cancer diagnosis in 1996 after he was rushed to the hospital, thinking it was gallstones. The doctors cut out his stomach after finding cancer. 25 days later, he died of a botched surgery. He bled to death. At that time, we believed his death was due to cancer. After years of research, we now know the truth: These treatments, and the terrible effects they had on the body, were ultimately what brought our family members to leave us so soon. Between 1996 and 2004, we lost 7 close family members to cancer. 4 months after Ty’s dad passed, the Lord took Grandaddy Conal Bollinger (Ty’s grandfather) due to complications as a result of cancer. 6 months later we lost Ty’s cousin Glenn, and then his uncle, Joel 2 months after that. In February of 2009, Ty’s beautiful grandmom, Helen Cade went to be with the Lord. In August that same year, we lost another grandfather. We lost all of these family members due to complications as a result of cancer. But the straw that broke the camel’s back was when Mom died due to complications from the various conventional treatments she received as a result of cancer. It was devastating, and we felt helpless. But God used our tragic loss for a greater good. We couldn’t have accomplished what we have without God’s grace, unconditional love, and support from one another… and YOU! In the midst of this tragic time, we set out to learn the truth. 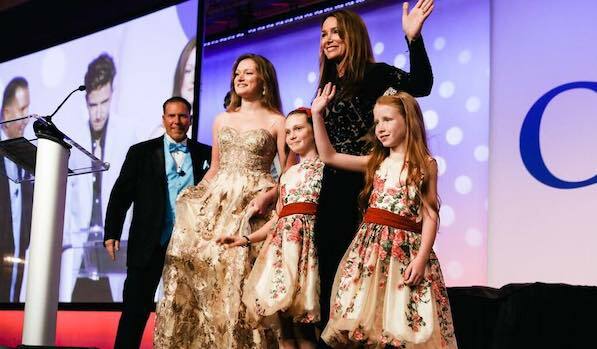 We saw what conventional treatments did to our beloved family members and thought “There must be a better way.” We began our journey by learning all that we could, interviewing experts from around the world and listening to the stories of those who were able to beat cancer naturally. We wish that we had been armed with the knowledge that we have now – things may have turned out very differently. We never want anyone else to feel what we did, to experience what we did, to lose what we did. We have made it our lifelong mission to bring all of the information we didn’t have to you. Our mission is one born of love. We want you to know that cancer is NOT a death sentence, and that you have a choice when it comes to your treatment. We’re pro-freedom and pro-knowledge, and we want to make sure you have all the info you need to make the best decisions for your health. The amount of information out there is daunting. Trying to sift through all of the research and stories about cancer treatment is a full-time job. We want to make things easier by bringing you all the latest news, research, and information possible. That’s why we created TTAC Insiders. Millions receive our emails, read our blog, and follow us on social media. Our documentaries have been watched countless times, and our Live Events offer a unique opportunity to hear from the experts and our personal heroes. We wanted to do something more. You’ll also get exclusive access to the experts, with Q&A sessions, fireside chats with the experts, and private live chats with some of the leading experts on cancer care and prevention. We’re especially excited to announce our new private Facebook group, exclusive to TTAC Insiders. 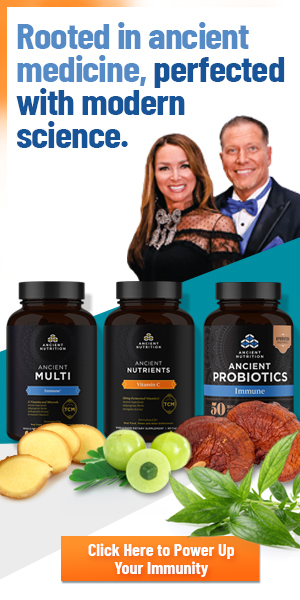 You’ll now have a way to communicate with us (Ty and Charlene), as well as many others in the natural health community. Platinum members will have access to Ty and Charlene for LIVE Fireside Chats where they can ask questions and get answers in real time. Whether you have questions, need support, or have encouragement for others, you’ll now have a place to call home online. We lost a big part of our family to cancer, but we now have a new, extended family that includes each and every one of you. Everything we do comes from a place of love. If we could turn back time to educate ourselves and our families, we would. But we can help get this life-saving information to others, and that’s a mission worth fighting for. We hope you’ll join us as we build a community dedicated to natural health and discovering the truth about cancer treatments and the modern medical industry. We love you. We wish you happy, healthy lives filled with joy. And we hope to see you on the Inside! Gain Exclusive Access to Your Health Heroes! My name is Richard Grzegorczyk. I purchased your ‘The Truth About Cancer’ series a couple of years ago when they were first streamed on the internet. I never received the product that I ordered. Since that time, I have been getting your ad emails whenever you have a new promotion. I believe you people are sincere in what you do but I wonder , do you really help out people? I am still waiting for my TTAB videos to show up. We’re so sorry to hear this. Please do reach out to our support team via chat, phones, or email so they can look up your account and get this sorted out for you right away. Please do let us know if there’s anything else we can help with and we will be more than happy to do so.